Spots on your back, or sometimes known as back acne or simply bacne, are among the most inconvenient things that a person can suffer from. Those who have facial acne are the ones who are more prone to having back acne. Painful and irritating at the same time, these spots on your back must be treated right away if you do not want to develop ugly scars. Here are some of the most natural ways on how to treat spots on your back. 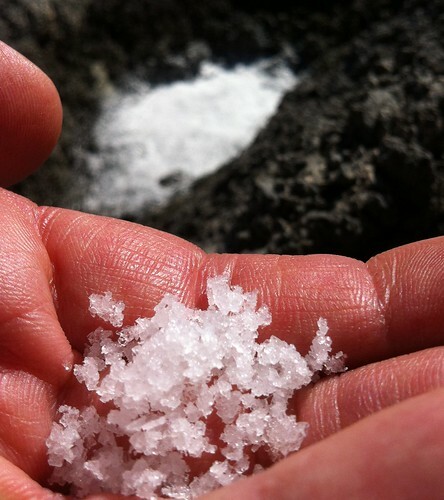 While a diet with high sodium can worsen your acne, the use of sea salt remedy will help you eliminate them. Even though there is limited research done on how sea salt helps get rid of acne, this is probably because of its effectiveness when it comes to containing the bacterial buildup. Sea salt can help dry out your skin that takes away the oil that cause the spots on your back. But, if you decide to use salt for your back acne, make sure that you will get sea salt and not table salt since this contains iodine that can only lead to the proliferation of acne. Among the most inexpensive remedies for back acne is Epsom salt, the common name of magnesium sulfate which is a type of natural mineral compound. This anti-inflammatory magnesium can be easily absorbed by your skin, giving you relief from the itchiness, redness and irritation. This can also activate the enzymes that can help in regulating the different nutrients essential for a healthy skin, including vitamin D, potassium, and zinc. This can also flush out the toxins aside from helping in better nutrient absorption. Prepare your homemade mask using honey and oatmeal. While honey works with its unique anti-inflammatory and antibacterial properties for curing the breakouts of spots on your back, oatmeal can help clean off the dirt and excessive oil. Honey’s antibacterial properties can also fight off the bacteria that cause acne and its anti-inflammatory properties help eliminate swelling and redness. Oatmeal is among the most beneficial ingredients for almost all kinds of skin, whether oily, dry or aging skin. This is also one of the things that you can use on how to get rid of spots on back. This can work for acne-prone skin as this soaks up the excess sebum oil. This can also gently exfoliate the skin and open the pores of the skin and clean off dirt. Once the dead skin and oil has been removed, the skin can get rejuvenated together with a moisturizing effect. An oatmeal bath is not only going to get rid of back acne but can also help in removing the scars. 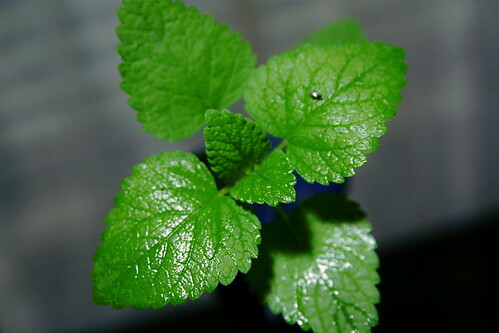 The peppermint leaves are rich in menthol, a known anti-inflammatory agent and natural analgesic. These properties will not just help reduce the swelling and pain because of the spots on your back for at the same time, this can also sooth itchy skin, thanks to its natural cool composition. 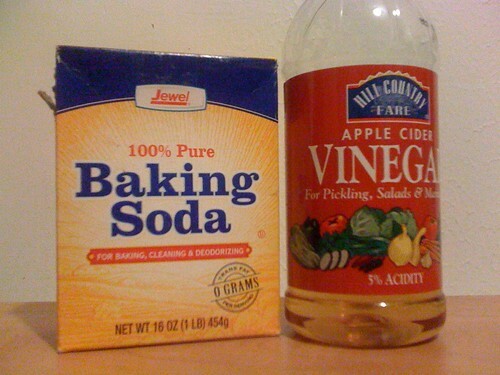 As many of you know, apple cider vinegar is very amazing ingredient for the human body and this too can help get rid of spots on your back. Basically, this helps balance your body’s pH that can naturally eliminate acne breakouts. Since apple cider vinegar is an effective anti-inflammatory and antibacterial agent, this is considered as one of the best remedies not only for bacne but for acne as a whole. The tea tree oil extracted from the leaves of Australia’s Melaleuca alternifolia has both anti-microbial and antibacterial properties. Tea tree oil’s Terpinen-4-ol compound is responsible for its antimicrobial properties. The tea tree oil’s antibacterial effect can help get rid of the bacteria Propionibacterium responsible for acne development. Along with the long list of properties, aloe vera also boasts of its emollient, regenerative, antifungal, astringent and antifungal properties. It means that this can help in stopping the fluid discharge by contraction of the blood vessels, making your skin smooth and soft and can eliminate the fungal infection, leading to regrowth of the new cells, so wounds will be healed. All of aloe vera’s properties come to great use when you apply this liberally on your back spots. Baking soda comes with amphoteric properties which means that this can act as both an acid and base. Thus, this can help in excellently balancing the skin’s pH level as the imbalance can usually result to bacteria and acne development. Baking soda comes with mild anti-inflammatory properties and antiseptic properties that can help cure swelling and irritation brought by acne. Aside from these properties, baking soda can also help exfoliate your skin to remove the dead skin and dirt that happens to be among the primary causes of acne. Clove essential oil is taken from the clove plant’s scented flowers which is a known anesthetic, antiseptic, antibacterial, anti-inflammatory and analgesic. The oil is also rich in eugenol, an antibacterial component which can reduce swelling and kill infection. Because of the anesthetic properties of clove oil, this can numb the pain that you usually get from acne. When it comes to how to get rid of spots on your back, your lifestyle and your diet needs your strict attention – not just on your back but also on your face and your whole body. Drink plenty of water in the day to flush out the toxins from your system. Follow a healthy diet that includes high fiber fruits, veggies and whole grains. Get enough rest as this is important to control oil secretion and maintain proper hormonal balance. Stay away from junk foods which include sweet and fatty foods, heavily spiced foods, caffeinated drinks and more. Stress can also throw your hormones out of control. Exercise and meditate to keep the stress at bay. This will help in keeping the good function of your internal body system. Excessive alcohol and smoking can lead to acne problems so avoid it at all cost. These natural home remedies on how to get rid of back spots will make sure that the irritation and pain on your back will go away!